Free Entry. 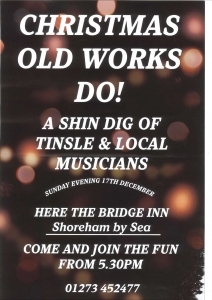 Good and varied music all evening with short sets from many local bands and performers including Hobgoblin’s Mannie and Pete duo. Good beer and food also from Imogen’s excellent kitchen.